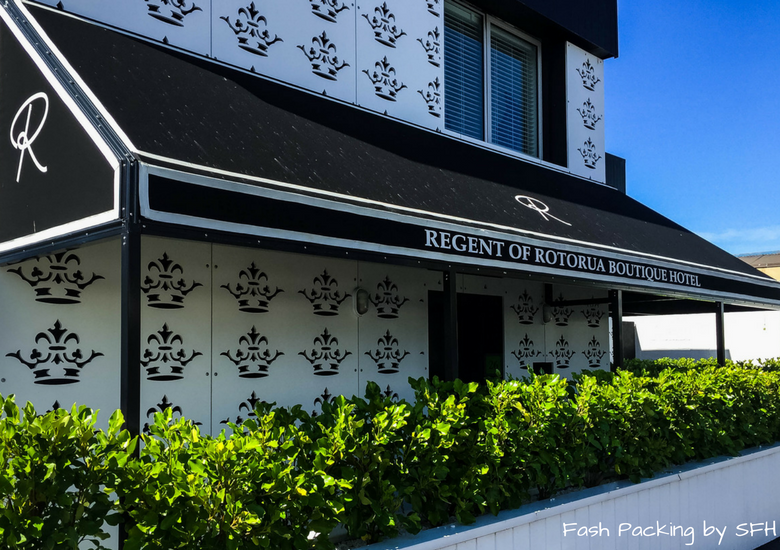 As you drive into the car park it is clear that the Regent Of Rotorua has embraced rather than fight the classic block style building that houses one of Rotorua’s newest boutique hotels. Step inside the monochrome reception area and you are transported back to a gentler time by the heritage touches throughout the space. 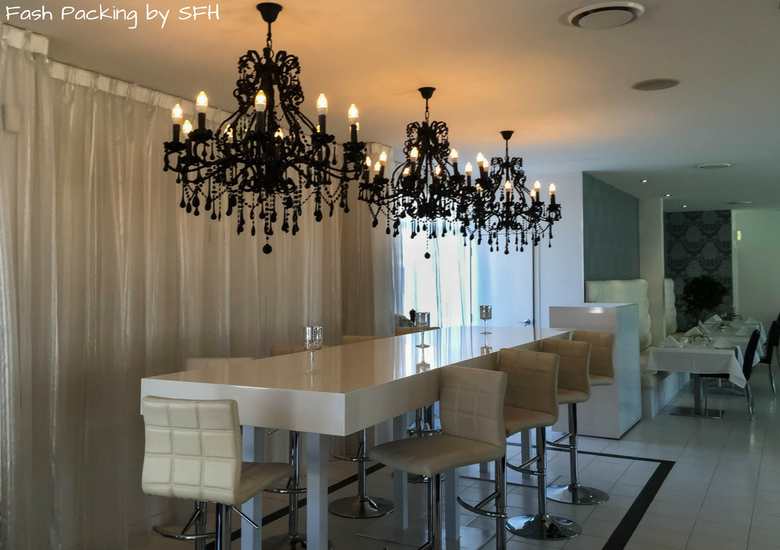 The quality furnishings exude an understated elegance and impart a sense of luxury that is a promise of what is to come. 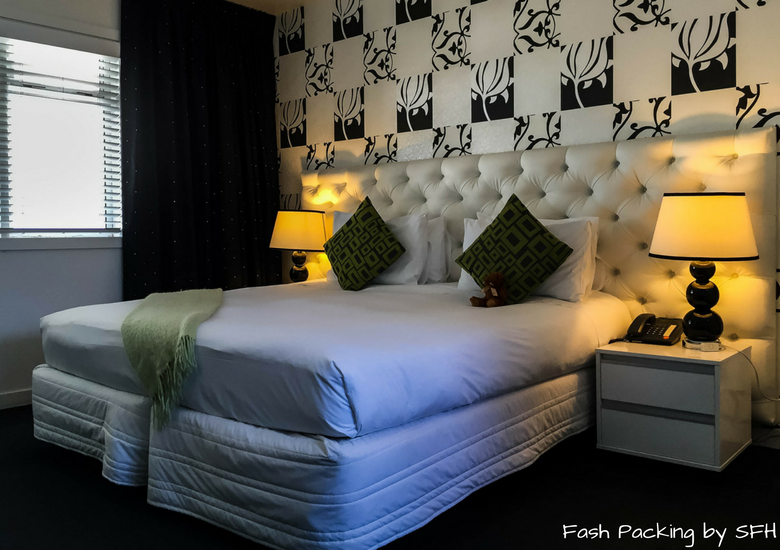 The Regent Of Rotorua has six categories of rooms and suites and we chose the superior. We were allocated room eight on the second floor overlooking the pool. Step inside and the inviting custom king size bed dominates the room. The plush leather headboard against the dramatic feature wall is bold and a striking mixture of contemporary glamour and yesteryear charm. Luxury comforters and pillows are down filled to ensure a sound sleep. The Hubs and I have a little ritual in every place we stay. Almost as soon as we walk in he dives on the bed and tests all the pillows and selects his favourite. He is much fussier that I am and I’ve long since stopped protesting. He was able to find one among the variety on offer that pleased and I am happy to take his cast offs to keep the peace. 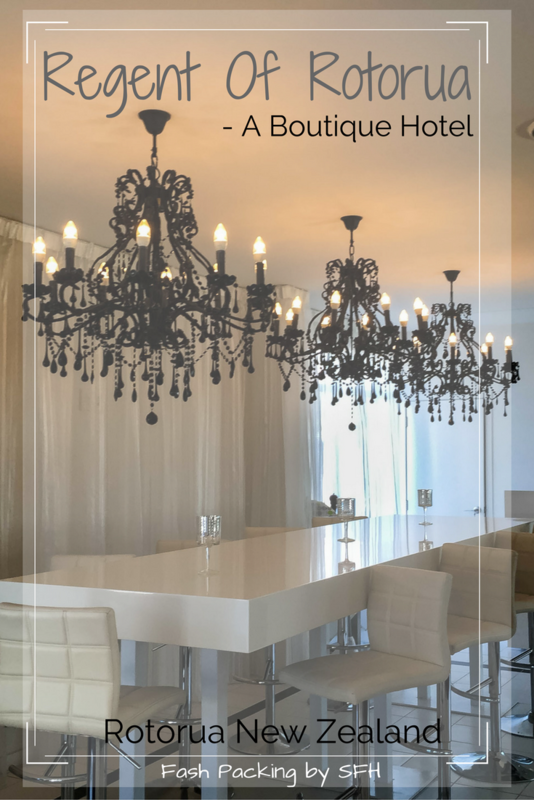 If you have read any of my previous hotel reviews you will know that I often complain about the lack of overhead lighting in hotels but I’m pleased to say the Regent Of Rotorua got it absolutely right! I never felt like we are sitting in the dark. The work desk is slick, modern and reminds me of my office at home. Of course the chair is ergo designed for comfort and luggage racks are provided. We usually travel with minimal luggage but the generous allowance on our Emirates A380 first class flight meant that we packed more than normal so the additional fold out luggage stand was appreciated. If you do chose to completely unpack (who does that??? ), the small closet has you covered and the plush robes hanging inside are perfect for dashing between your room and the pools. Once of my favourite parts of our room was the snug reading nook. While our two days in town were a whirlwind of activities this was the perfect place to wind down before bed with a good book and a chilled glass of white. The bathroom was compact and while some might mourn the lack of a bathtub, the generous shower with dual heads was perfect for our needs. 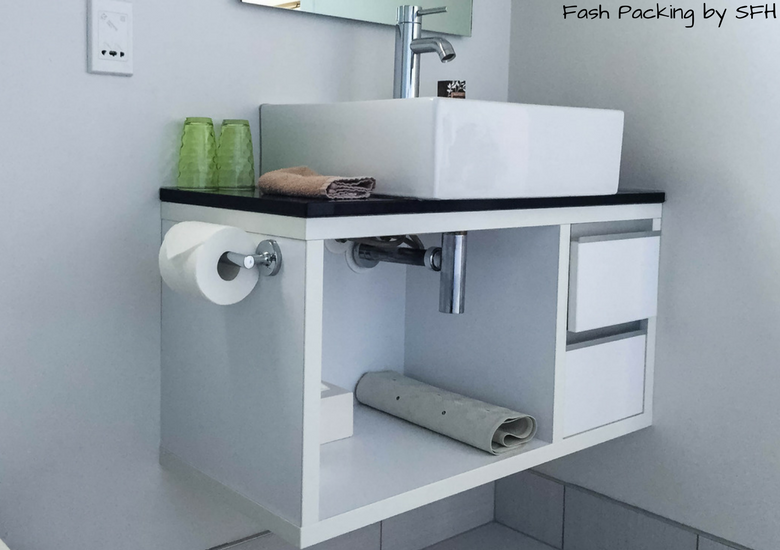 I would have liked a little more bench space around the vanity so that I could spread my toiletries around but I made do by utilising the open space underneath. Sometimes I think that service is a dying skill in today’s modern world but the Regent Of Rotorua nailed it. At check we were greeted warmly while our paperwork was seamlessly completed before being personally escorted to our room. We were offered the porterage service but The Hubs was more than happy to wrangle our luggage up the stairs. Our host took time to inquire about our plans and recommend some local attractions but the icing on the cake for me was the way the staff handled the use of the mineral pool on request to ensure a private soak. Thoughtful surprises abound at the Regent of Rotorua and the cutest little teddy on the pillow was a lovely touch. 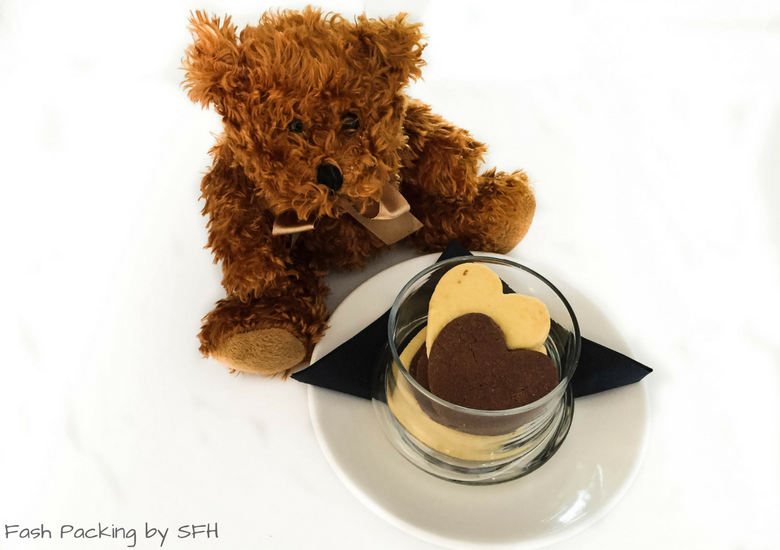 If you love him too much to leave behind you can take him home for just $15. 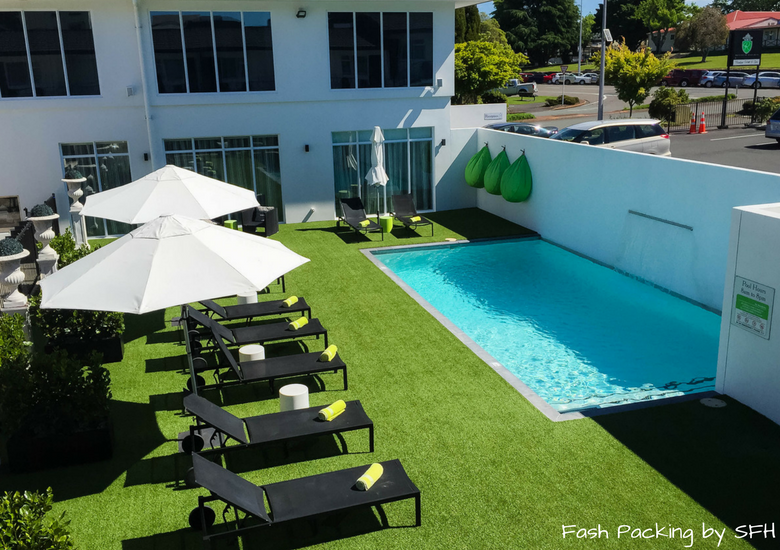 The centrepiece of The Regent of Rotorua is the sparkling pool in a private courtyard. The pool is heated to 28°c year round so you can always enjoy a dip. On a sunny day grab a lounge and order a cocktail from the nearby bar. 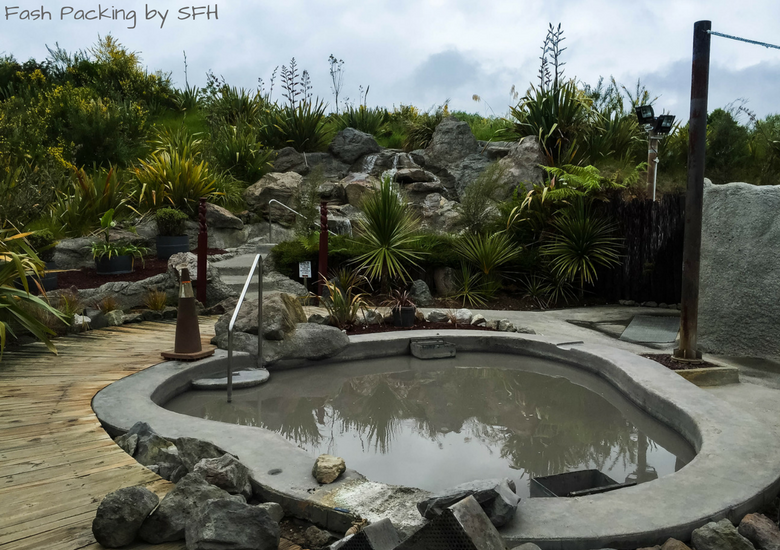 Rotorua is famous for it’s geothermal activity and the Regent of Rotorua has a mineral pool on site. How cool is that! The water temp hovers around 40c and after a long day exploring the sites it is perfect way to wind down before settling in for the night. My skin felt amazing afterwards. 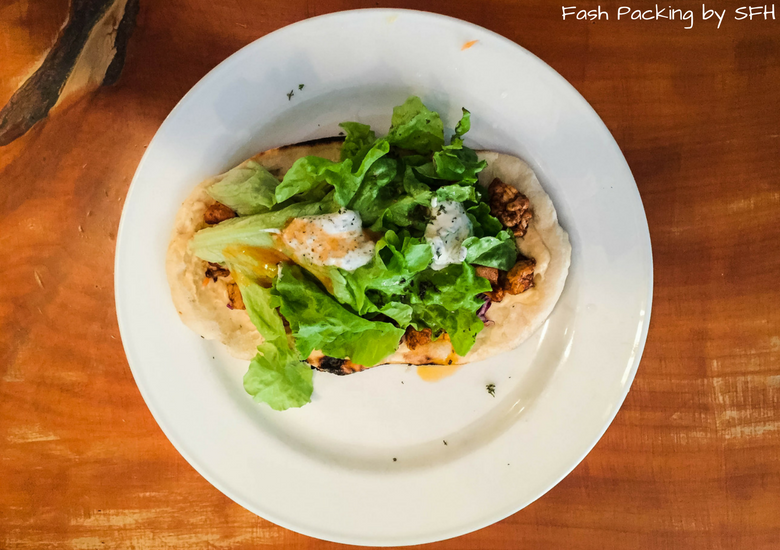 The onsite restaurant has an innovative menu which has won numerous awards and is sure to appeal to a wide range of tastes. 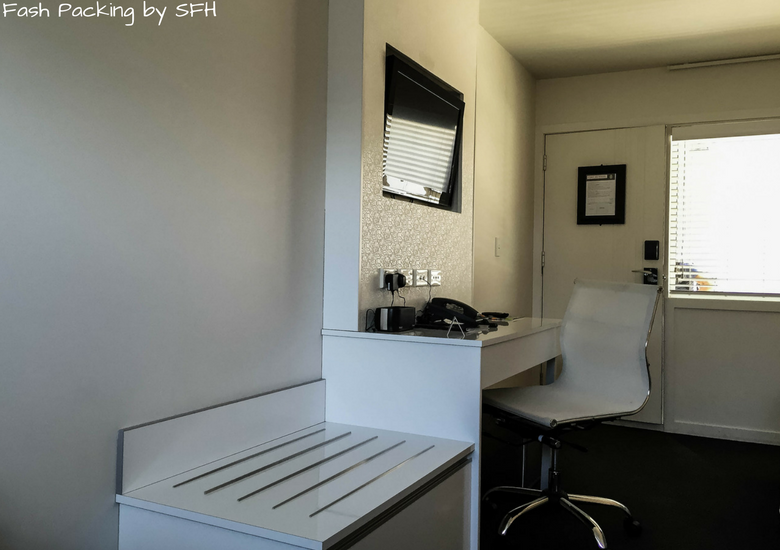 The decor is fresh and in keeping with the hotel’s monochrome scheme. You can order room service from the menu anywhere between 6.30am – 10pm if you can’t bear to drag yourself from your glamorous room. If you do decide to dine in your room make use of the free cable TV. The Hubs sure did and caught up on what was happening in all his favourite sports one night. 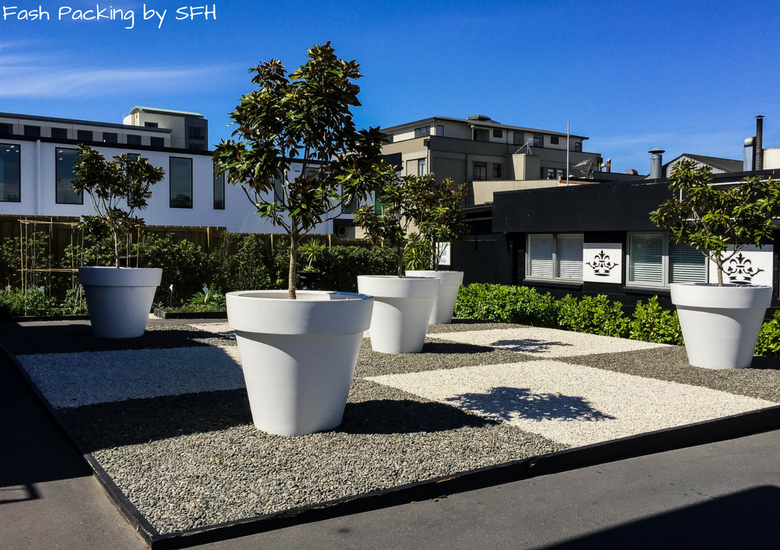 The Regent of Rotorua has ample free parking split between two lots on either side of the main building and because they do nothing by halves, even these most functional of areas are a treat with oversized pots and feature plantings. A number of dedicated handicap parking spaces are available for those in need. The Regent Of Rotorua is centrally located in the heart of Rotorua just a few minutes walk from the main shopping district. 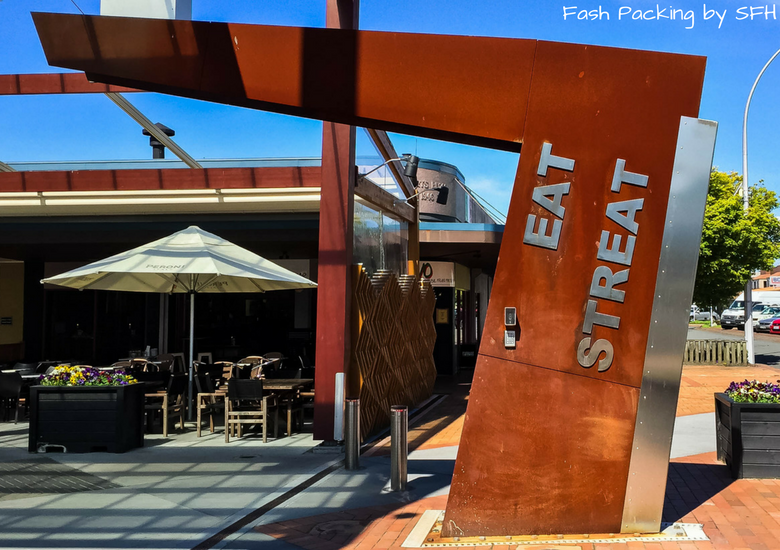 If you are feeling peckish Eat Street is literally a 1 minute walk away and you will find 20 or so eateries clustered in an undercover mall. 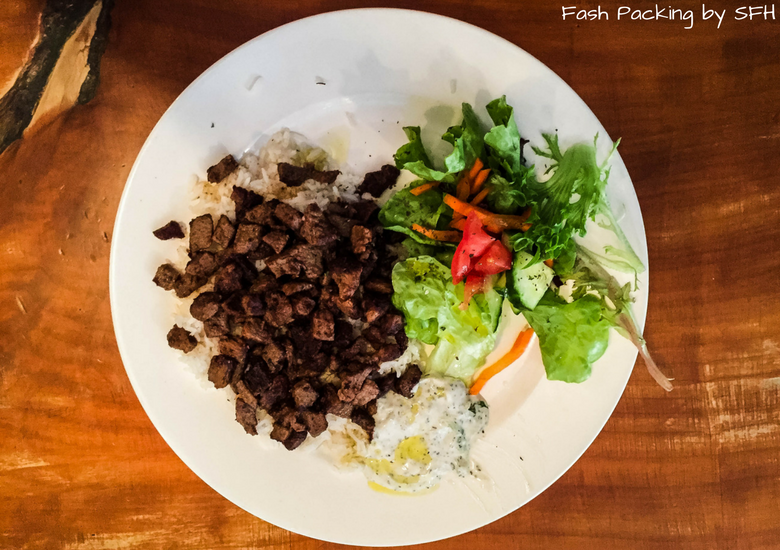 Try Cafe Ephesus for a great value Turkish lunch like we did. After lunch exit on the other side and walk off your meal around the shores of Lake Rotorua. Keep your eyes peeled for the ‘tree’ made of old bicycle parts and say hello to the resident black swans. 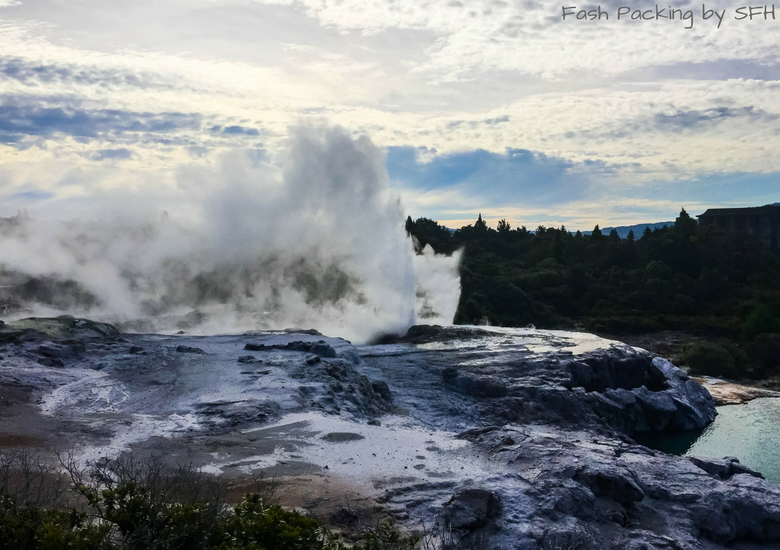 See a geyser erupt in full glory at Te Puia which is only about a 5 minute drive away and a must do while in Rotorua. I recommend the Te Pō experience which includes a Māori Hangi feast. Hells Gate is the place to experience mother nature at her diverse best. And did I mention the mud bath and sulphur pools? Full review of Hells Gate here. 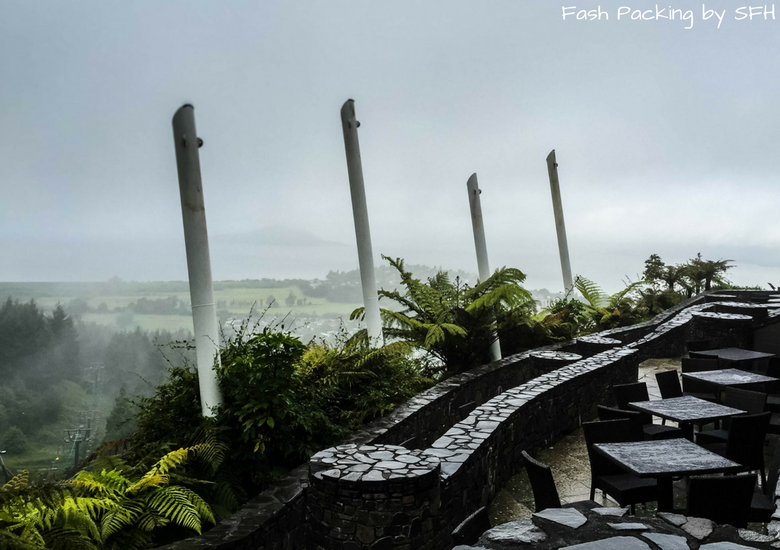 There are heaps of wonderful things to do in Rotorua at night and we had a lovely dinner at Stratosfare Restaurant with wine tasting at Volcanic hills at the top of Skyline Rotorua. I loved the Regent of Rotorua. The location cannot be beaten and every element of our stay was very hard to fault. 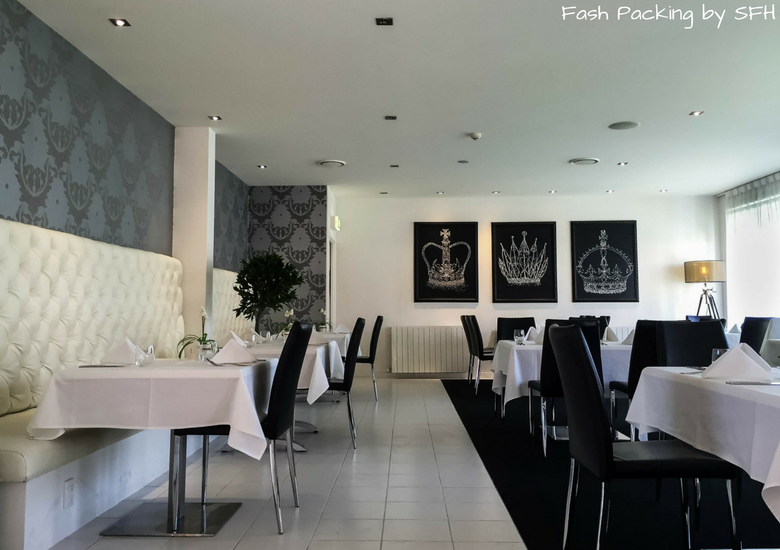 The style and glamour particularly appealed to me and it felt like we were staying somewhere very special which is sometimes lacking in larger hotels. Make sure you consider the Regent of Rotorua for you next visit to NZ’s geothermal wonderland. 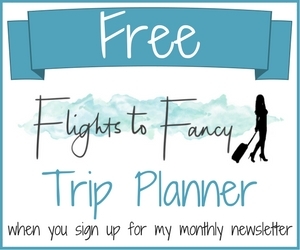 If you are heading to New Zealand for the first time make sure you check of my New Zealand travel essentials post for everything you need to know before you go and study my tips on scoring a bargain flight. 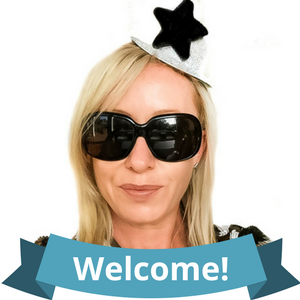 Disclaimer: The Regent Of Rotorua kindly provided a reduced rate as part of this collaboration. As always, all opinions are my own. What a beautiful hotel!! I would love to visit here! It was lovely Holly! 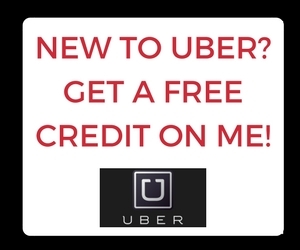 Hope you get a chance to check it out yourself! Such a modern and beautiful hotel! I would love to stay here and spend some time in the reading nook and in the geothermal pool. Glad you had a lovely time!! We had a great stay Samantha and I wouldn’t hesitate to return ? Never been before but would love to visit this place if I ever am lucky enough to make it to New Zealand! It looks very clean and modern. I like the simplistic designs! This was my first boutique Hotel Emily and I really loved it. I love how clean and simple it looks inside. 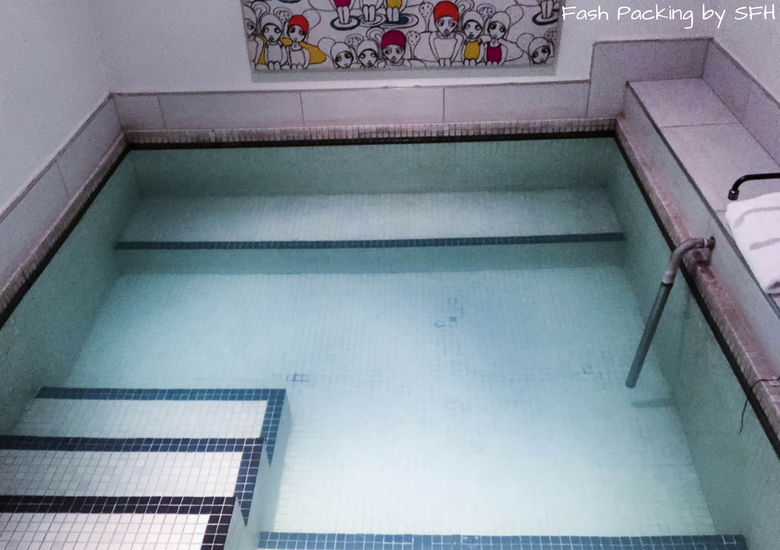 I wouldn’t mind not having a bathtub… do people really take baths in hotel bathtubs anyway?? I wouldn’t call myself a germaphobe, but that just sounds unsanitary to me. 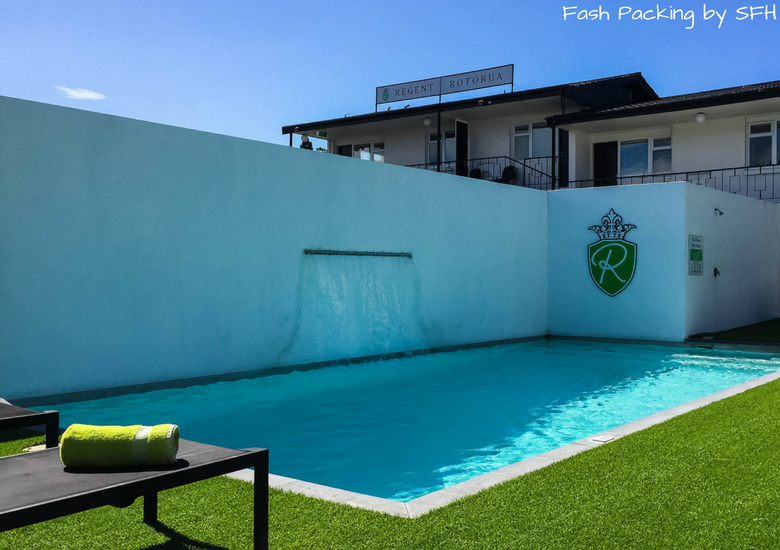 The pool area is perfect, especially with the grass around the pool. Most hotels I’ve been to have concrete around the pool, and the grass is such a nice touch. I can’t remember the last time I took a bath in a hotel but I guess if you have little ones it’s a necessity. It was perfect for ya though and it left more room for a huge deluxe shower which I prefer ? I loved it Sabrina. Everything was perfect and so central! This hotel looks great. I love that hot mineral pool in the hotel. It looks so relaxing after a day of seeing the sights. It really was! I don’t know what minerals were in it but my skin felt fantastic! wow! sounds like you had a wonderful time! i’m all about the good service and pretty decor! You can’t go wrong with go with that Taylor! I loved the ambiance of the room, the wallpaper, lightings and the furnishing are just perfect. Plus point is that the attractions are very close by. 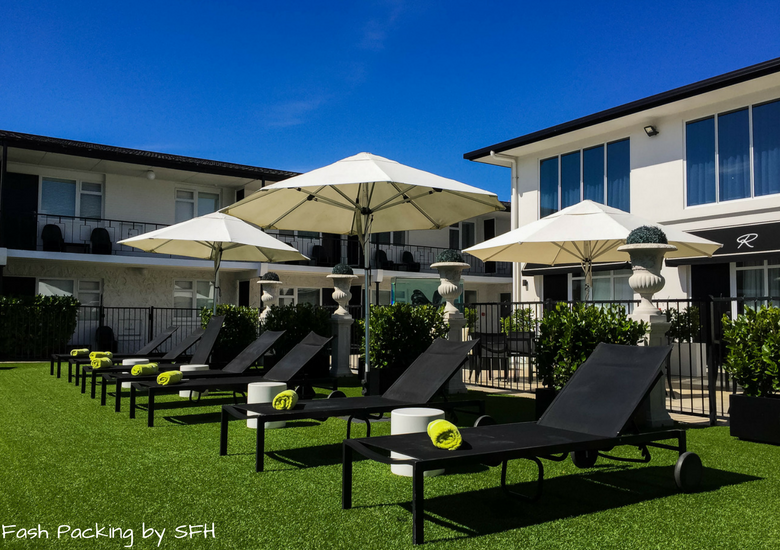 Regent of Rotorua sounds like a perfect comfort and luxury stay. I loved it all too Rashmi! Everything being so close was just a bonus ? Awesome Neha! I hope you get the chance soon ? 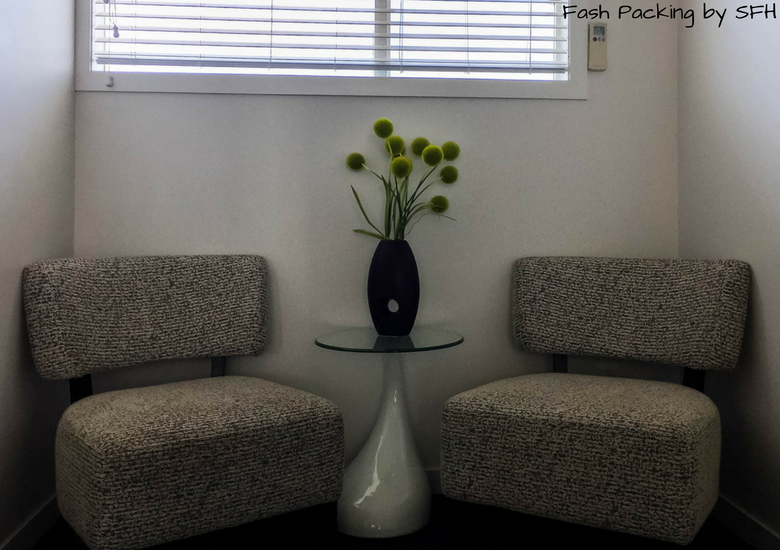 I love boutique hotels because they are chic. I’m always excited when we have to stay at a boutique hotel. This one is so lovely as well as its views! Looove the black and white details. I want to dip in that pool and relax all day! This is the first real boutique hotel that I have stayed at and I am hooked! I just wish we had a little longer to enjoy it all ? The Regent Of Rotorua looks really lovely. I am a bath person but with a decent shower I don’t mind a place not having a bath. Love that it has a big bath with the mineral pool though. I do like a cup of coffee in the morning and I’m quite happy to use the cup for a glass of wine in the evening. 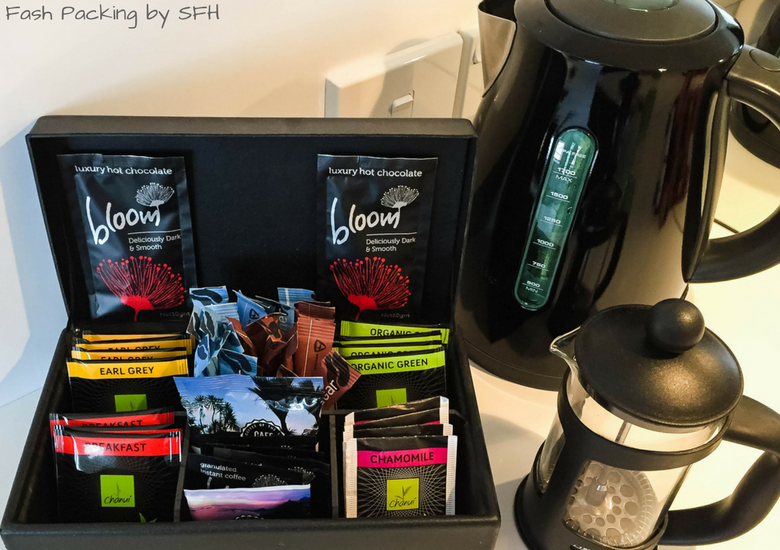 I like the selection of tea, coffee and hot chocolate. Looks like a fab place. I don’t mind a bath myself but we were in the go a lot so a long soak wasn’t really in the agenda and the shower was superb! The mineral pool was a great alternative! So true Courtney. I loved all the decor. You could really tell a lot of thought has gone into even the smallest of details ?